"I haven't found quite the right idea yet." You could spend an awful lot of time waiting for the perfect inspiration. Namely, forever. Don't wait. Start with "just barely good enough" and go from there. The real writing is in the rewriting anyway. "I have too many other things going on right now." As if that's ever really going to change? Life rarely gets less complicated over time. And when there's something you want to avoid, other commitments expand to fill as much space in your life as possible. "I'm just not in the right frame of mind lately." Here's the trick: it's not a question of being in the mood to write, it's a matter of being in the groove. And that only comes from doing it. I would argue that these are all excuses, rationalizations rather than true causes of your block. Writing is, at bottom, just writing: you set pen to paper, or hit one key after another, or even dictate to a secretary if you're so lucky. No one forgets how to do those things, physically, right? So what's the hang-up The real root cause is this: you're afraid that what comes out when you write won't be good enough. There's only one answer here: forgiveness. Turns out that's always the answer in life… but that's a whole other story. Here we're talking about self-forgiveness. Sounds easy, but it's surprisingly hard. Whether you openly verbalize it in your mind or just feel it on a gut level, you're questioning your own value, your own voice. You'd never treat another person as meanly as you treat yourself. Think about that. If another writer who was a friend of yours came to you, saying they simply couldn't face another blank page, what would you tell them? "Just trust yourself. I believe in you." Try telling that to yourself. You may be surprised what a little self-forgiveness can do. 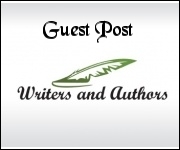 Guest post by freelance writer and full time blogger Barbara Jolie. Barbara enjoys sharing her knowledge on http://www.onlineclasses.org/ accredited online college classes and online education with her blogging community. You can reach her at barbara.jolie876@gmail.com.